April 11, 2018, 8:54 a.m.
Waitrose has announced plans to rid its stores of disposable coffee cups by this autumn in an effort to reduce waste and stop tonnes of plastic going into landfill each year. YouGov profiles data shows that generally, the public favours tougher action on plastic. Over six in 10 (62 per cent) Britons support levying a charge on disposable coffee cups, compared to 28 per cent that oppose it. 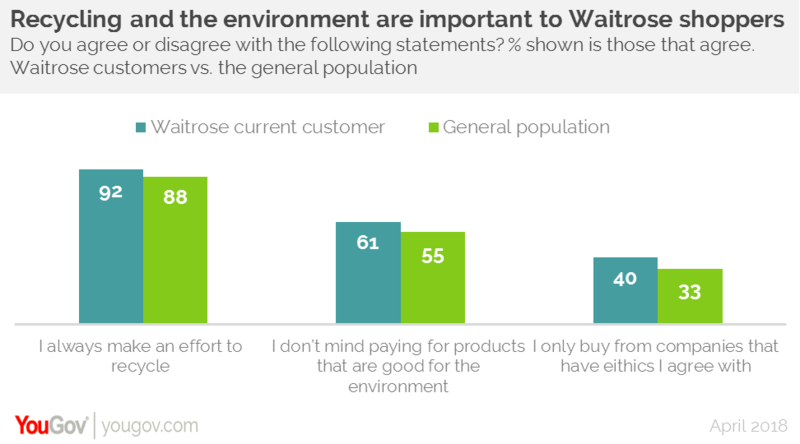 Our figures also suggest current Waitrose customers may embrace the move. They are more likely than the average person to say that they don’t mind paying for products that are good for the environment (61 per cent vs 55 per cent of the general public). Added to this, over nine in 10 (92 per cent) say that they always make an effort to recycle, compared with 88 per cent of the population as a whole. Our data shows that four in 10 (40 per cent) only buy products from companies whose ethics they agree with, against 33 per cent of the public. Of course, the supermarket sector remains as competitive as ever and Waitrose faces challenges. 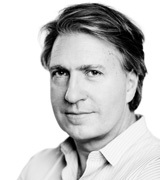 YouGov BrandIndex data shows its brand health metrics are solid among its current customers. Both Waitrose’s impression score (whether or not someone has a good impression of the brand) and its quality score (which supermarket someone thinks represents good quality) sit at a high of 86. However, among general consumers it performs less well on these metrics, sitting well behind upmarket rival Marks & Spencer in terms of impression score (31 vs 42) for example. Whether taking a stand on environmental issues entices new customers to the store remains to be seen, but the policy may well provide a needed boost in terms of positive PR.